After 5 billion organic downloads, where now for Outfit7? If one were asked to name the biggest brands in mobile gaming, most would cite the same handful of names: Clash of Clans, Angry Birds, Candy Crush, Pokémon Go, perhaps Minecraft. In truth, the list would be longer these five choices well before the name of Talking Tom was mentioned, and yet, in terms of pure reach, there's a strong case for Outfit7's ubiquitous cat being part of that group. The Talking Tom and Friends franchise started in 2010, and it now encompasses 19 individual apps. 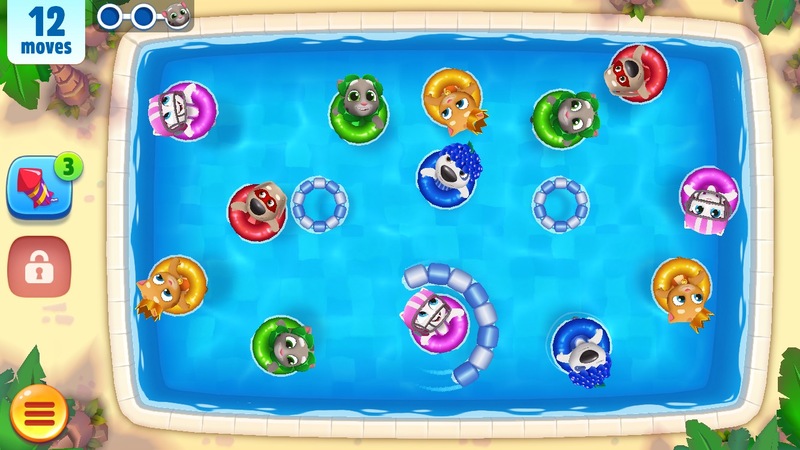 The majority of those are virtual pet simulators, but in 2015 the company made a pronounced turn towards games with titles like Talking Tom Jetski and Talking Tom Gold Run; essentially riffs on familiar mobile genres and, as such, easy to overlook in favour of the stalwarts of the top-grossing charts. "If someone pays $1 billion, they expect some return on investment. It's totally logical"
However, in January 2017 something happened that was impossible to ignore: Outfit7 was acquired by Zhejiang Jinke Entertainment Culture for $1 billion, one of a series of deals around that time involving game developers and Chinese companies from completely unrelated fields. The reasoning behind these seemingly bizarre transactions was the importance of profit margin to the way that Chinese stocks are priced. As described in this memorable article from Bloomberg, a Chinese company can boost its value by purchasing companies from higher-margin industries - and so industrial chicken farmers bought shooter developers, and peroxide manufacturers invested in virtual cats. Ziga Vavpotic is clearly aware of this perception, but if Outfit7's chairman is uncomfortable with the idea he doesn't let it show. In fact, he addresses the underlying logic in the same bright, enthusiastic manner that he carries throughout our interview. "One of the reasons they bought us, yes, we are profitable," he says. "And that's why, as we are running the company successfully, they don't want to interfere a lot." Vavpotic points out that both he and the current CEO, Jure Prek, were at the company well before the acquisition, though both were promoted from other roles around the time of the deal. Zhejiang Jinke Entertainment Culture has added two people to the management team, though, and in positions that speak directly to its priorities; one is deputy chief financial officer, the other is deputy chief revenue officer. "They didn't place a huge amount of their people," Vavpotic adds. "If someone pays $1 billion, they expect some return on investment. It's totally logical, and it's something that we're aware of, but still they're not pushing it very hard." Look past the raised eyebrows that greeted the acquisition, and there is a very obvious compliment to the company's founders: Outfit7 was a profitable when it was acquired, with a brand at its centre that offered significant potential for further profit growth with the expertise of a business that really understands scale. "This company, up to five billion downloads, we didn't do any paid user acquisition"
In fact, according to Vavpotic, one of the most pronounced changes since the acquisition is the way Outfit7 thinks about productivity; where it previously thought in terms of one or two releases each year, "in their perception we should do ten. They are huge in the sense of the vision." Given the size of Talking Tom's reach, it could be argued that Outfit7 has not been thinking big enough. In October 2016, a few months before the acquisition completed, the 14 products in the Talking Tom and Friends franchise had reached five billion downloads - a figure so large it's difficult to properly grasp. And while repeat downloads are inevitable with a concept like Talking Tom, Vavpotic says that Outfit7 has around 350 million monthly active users. "And growing to five billion was pure organic," he says, before praising the sticky qualities of the Talking Tom character. "This company, up to five billion downloads, we didn't do any paid user acquisition. I would say this shows the amazing success of previous management, the previous team, a lot of whom have stayed." Outfit7 now has around 250 employees spread across its home country of Slovenia, London, Cyprus, and two offices in China. At the time of the acquisition it had 180 staff, but the year since the deal has brought growth in more than just its headcount. Since October 2016, the Talking Tom line has added another two billion downloads, a 40 per cent increase on its lifetime total in the space of less than 18 months. "And that's without strong paid user acquisition now," Vavpotic says. "We aren't throwing half of our revenue at UA nowadays. We're doing it very strategically, connected to lifetime value. It isn't something we do a lot. It's still growing amazingly well organically. "There are a couple of things that we can say helped [with growth]. China generally grew very fast; China is becoming one of the most important markets for us. The second one is that it looks like we built a good relationship with the important stores - both Google and Apple, and also the Chinese stores. That's something that we built over the last two years, and we're more and more successful [as a result]." 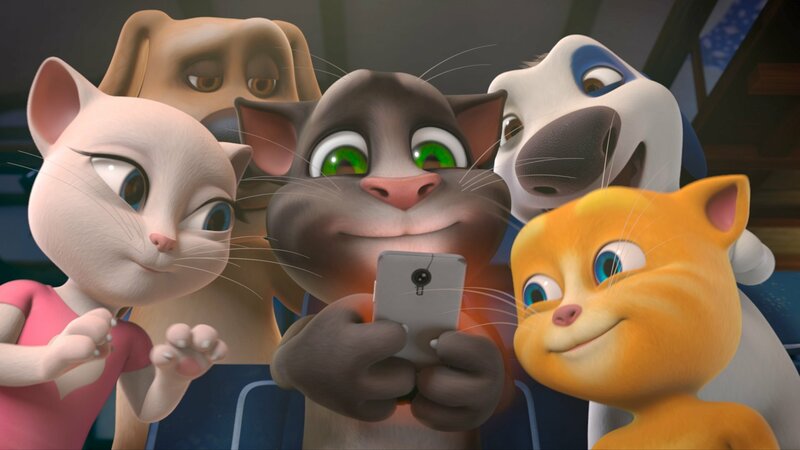 "I cannot hide that we are talking about a movie, and licensing is becoming more and more important"
Vavpotic also mentions the growing presence of Talking Tom in other media, specifically its animated web series and and a broadcast TV show that is gaining traction in territories across the world. He describes 2017 as "the year of changes" for Outfit7, and change is necessary if the company is to properly take advantage of the vast audience it has built over the years. "There is a lot of potential here, and we should think broader," he says. "We were probably understood as a successful mobile game company, but I think we can do more in terms of family entertainment. "We will continue on YouTube. Our animated series is all around the world now with broadcasters. I cannot hide that we are talking about and thinking about a movie, and licensing is becoming more and more important. So it's more and more things. "We consider ourselves a family entertainment company coming from the mobile world. We are aware of where we're coming from and where we are best. And that's mobile games." Listening to Vavpotic hint at what lies ahead, it's difficult not to think of one of the names listed at the very start of this article: Angry Birds, which launched at around the same time as Talking Tom, and expanded in many of the same ways that Outfit7 is now exploring. However, while Rovio can be seen as a source of inspiration, the Finnish company's eventual difficulty in sustaining that growth also offers a cautionary message; a message about growing in too many directions, too quickly, and doing so on the strength of a single IP. "It would be irresponsible for us to say that Talking Tom is the only place we'll look [in the future]," says Vavpotic. "All four games that we have planned for next year will be with Talking Tom IP, but when we talk about middle-term to long-term strategy, having a new brand is something we will consider. "And we will be open. Will it be something we create? Will it be something we acquire? It's something that isn't defined yet, but it will be difficult to do another Talking Tom."